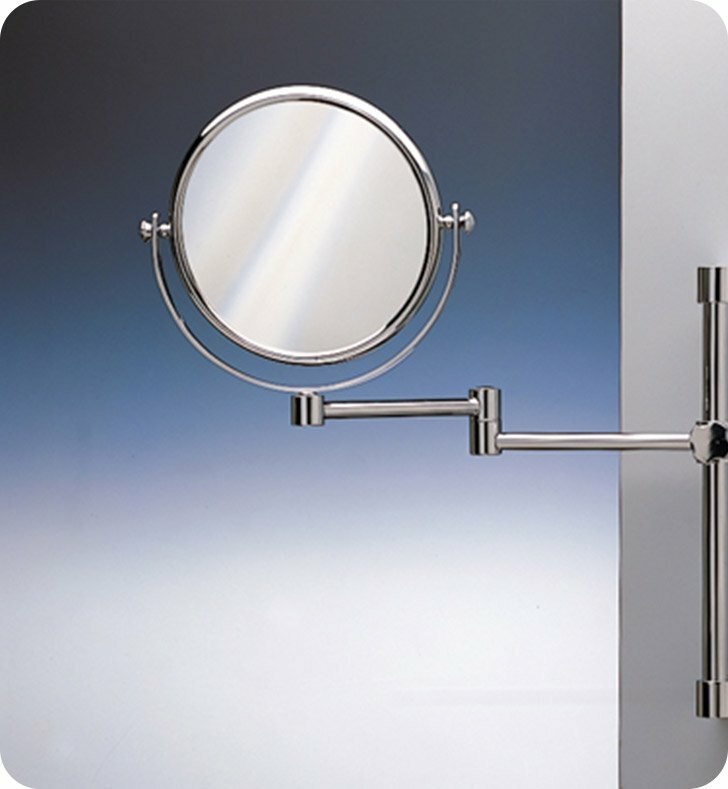 Windisch's Double Face Wall Mounted Mirrors optical mirror is a magnifying mirror that is best in a contemporary style bathroom. 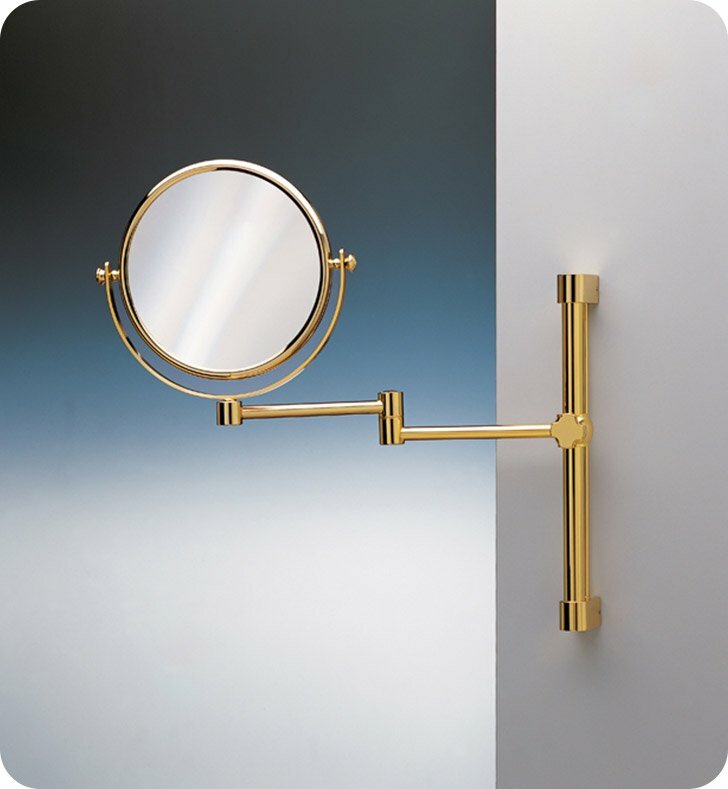 Made in Spain by Windisch, this wall mounted magnifying mirror is a luxurious solution for your luxurious master bathroom. 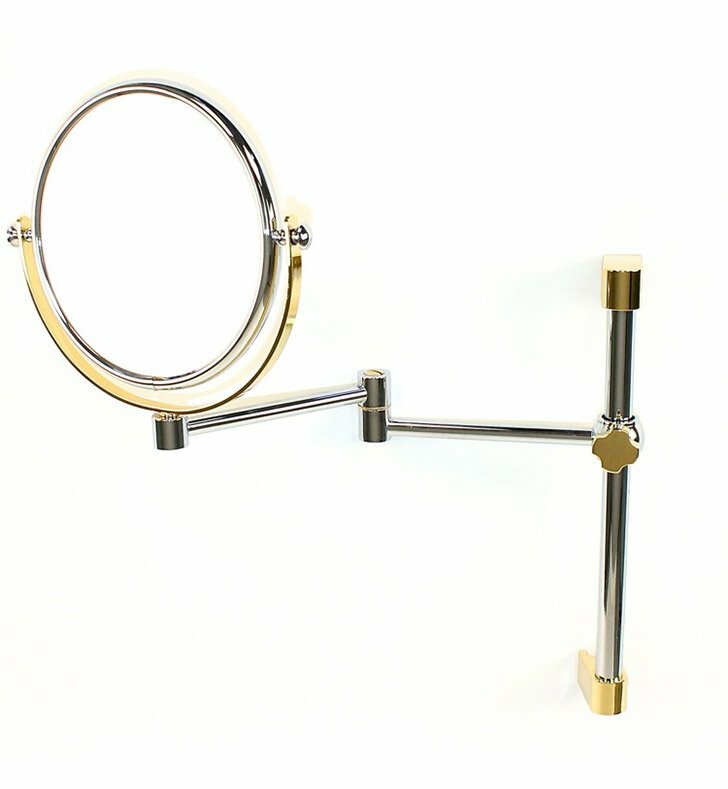 This decorator magnifying mirror is made of very high quality brass and coated in chrome, chrome and gold, or gold.